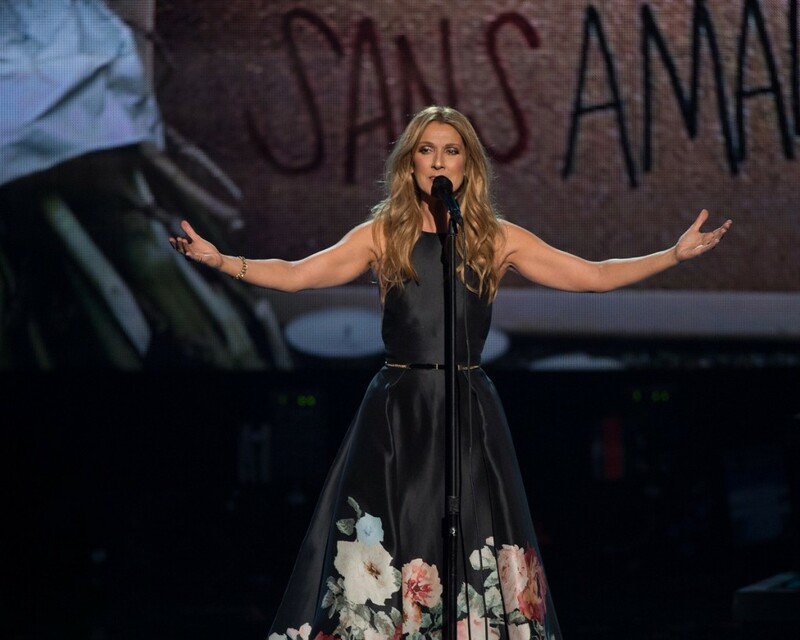 Celine Dion delivered a touching tribute to Paris during Sunday night’s American Music Awards. Photo Credit: Image Group LA/ABC. There wasn’t a dry eye in the house when Celine Dion stepped onstage Sunday night at the American Music Awards in Los Angeles to pay tribute to the victims of the deadly Paris terrorist attacks that occurred on November 13. Dion, who hails from Quebec, performed a rendition of Edith Piaf’s “Hymne à L’Amour” in its original French. To say it was impeccable would be nothing short of an understatement. The song inspired a standing ovation from the audience, many of whom were visibly emotional during its delivery. As tears streamed down faces, feelings of remembrance, unity and strength were felt throughout the Microsoft Theater, in part due to Dion’s riveting performance, but also thanks to Jared Leto’s equally heartfelt introduction. Leto, whose band 30 Seconds to Mars played an impromptu show at the Bataclan earlier this year, spoke to the memory of the victims, including his own friend, Thomas Ayad. As he looked straight into the camera with his piercing blue eyes, he began reciting a letter published by the bereaved Paris widower Antoine Leiris. His wife, Helen Muyal-Leiris, 35, was among the 129 innocents who lost their life during the recent attacks. Apart from her husband, she left behind a 17-month-old son. Addressing the audience, Leto ended his speech by not only stating that many of those seated before him are the sons and daughters of immigrants, but that every country in the world matters, emphasizing that “peace is possible.” As applause filled the theater, he went on to announce the act that would end up being the highpoint of the night. On stage, Dion was accompanied by strings as well as images of the city of Paris as a backdrop to her performance. It was a touching ode to a dire situation, one that provided a beautiful light at the end of the tunnel of this devastating tragedy. You can watch both Leto’s speech and Dion’s full performance below. Video courtesy of The Huffington Post. Video courtesy of ABC/Celine Dion Forum Promo.